Well it’s certainly going to be an interesting year regardless of what happens on the 29th of March. The craft beer business is now moving into a more mature phase. There is no doubt that the sector has clearly answered the call to “DRINK BETTER!” But growing competition, also means the bar is constantly being raised on quality. It is no longer OK to produce mediocre beer. It has to be better than the others! Continuing improvement in quality and consistency are now seen as prerequisites to be a good Craft Beer Brand. In 2019 it will become even more critical. · If you have not got an ACTIVE quality improvement plan in place that is not being monitored or discussed in key management meetings, then it is unlikely that Quality is uppermost in your mind. · You need to constantly test your beers out against your local competitors as well those the industry rates as being great. · Vegan/Gluten free for those that wish to drink beer which falls into those categories. · Craft lager that tastes of something. · Beer using products that might have been thrown away & wasted – Bread, fruit etc. · Barrel Aged beers in larger bottle sizes. · Small pack, which continues to grow in importance. They all have their exponents and niche market sectors. But the growth in styles simply attests to the growing maturity of the sector and the increasing range of distribution outlets for craft beer. Whilst there are some breweries deciding to exit the market place, there are still some coming in, but most importantly there are the expansion plans of those that have gone crowdfunding in the last year, all of whom want to treble/quadruple their volumes. Who went crowdfunding – who didn’t might be easier! So excluding Brewdog, there is another £10 million in investment being put into increasing brewery sizes and investing in more professional sales operations. US Craft Beer brands are also piling into the UK market as they seek to grow their export markets. The impact of all of this is increased competition, but competition adequately funded to create professional sales teams and logistics to ensure great customer service. So it will become even harder out there in 2019 if you don’t ‘up your game’ by professionalising your own sales approach. If you are a small Sub 5000HL Brewery. 3 Key Performance Indicators (KPIs) that will drive your business. · Produce great beer – Not OK beer, but great beer. Constantly test your beer against what are seen by the trade/customers as great beers that sell. 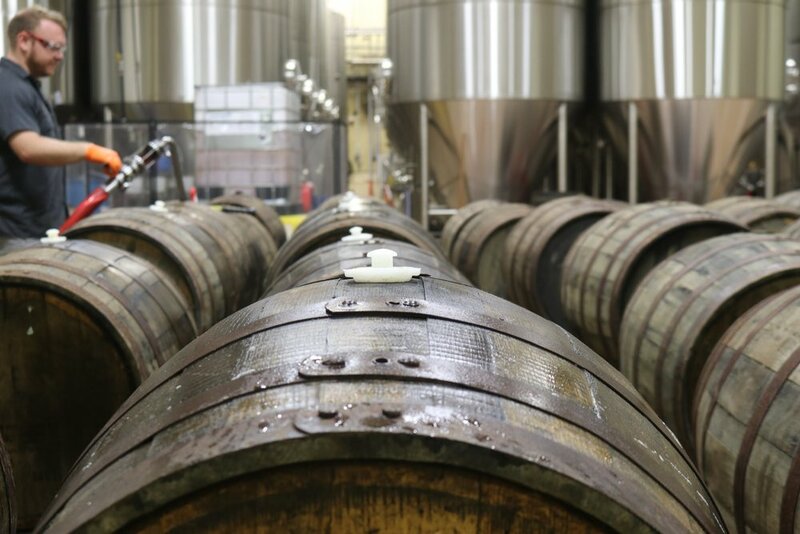 · Review your production process regularly to ensure it is optimised for producing great beer. · Control your costs, know every month exactly where you stand on profitability. There is lots of good, simple & affordable software out there to help you do this job more efficiently. · You are making a quality product. Your goal should be to price up, not down. · Review them regularly – weekly! If you are a brewery producing over 5000HL It is the above 3 plus a laser focus on developing your LEADERSHIP skills. When business owners fully embrace their leadership role they firstly shift from doing to being. It’s necessary to move from acting like you have all the answers to coaching your team to find the answers for themselves. As a leader, you are also responsible for holding and driving the business vision. That means looking ahead and developing a clear plan rather than simply staying in ‘knee-jerk’ reaction mode. In next month’s blog, we’ll take a deeper dive into these core principles of leadership and provide some insights on what separates run-of-the-mill managers from true leaders.